It was a pleasure to meet Michael for his high school senior photo session. It wasn't until we met that I realized I had taken his sister's photos a couple years earlier. I love getting to work with familiar families and hear about how everyone is doing. 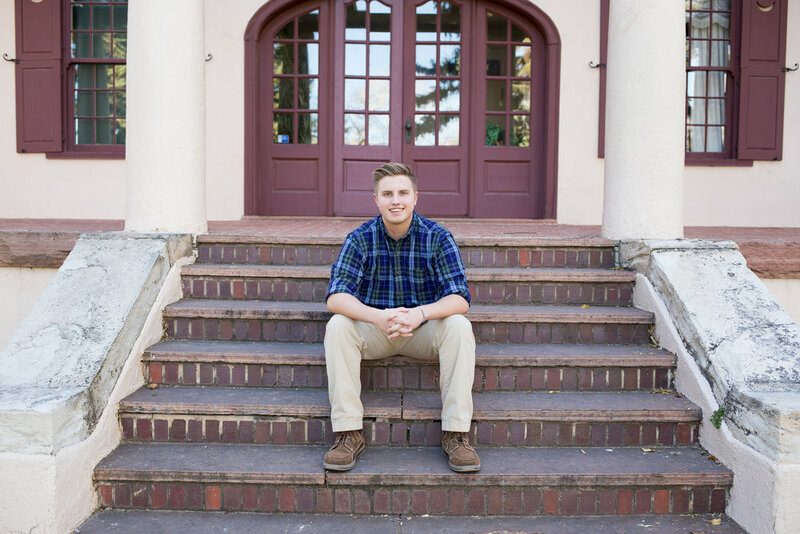 As we got together for Michael's session in fall, we chatted about how he was excited for baseball season and the preparation that the team starts to do for the season. It was easy to tell that baseball was a passion of Michael's and that it was something that he excelled at. We met for Michael's session at Rock Ledge Ranch in Colorado Springs, CO. 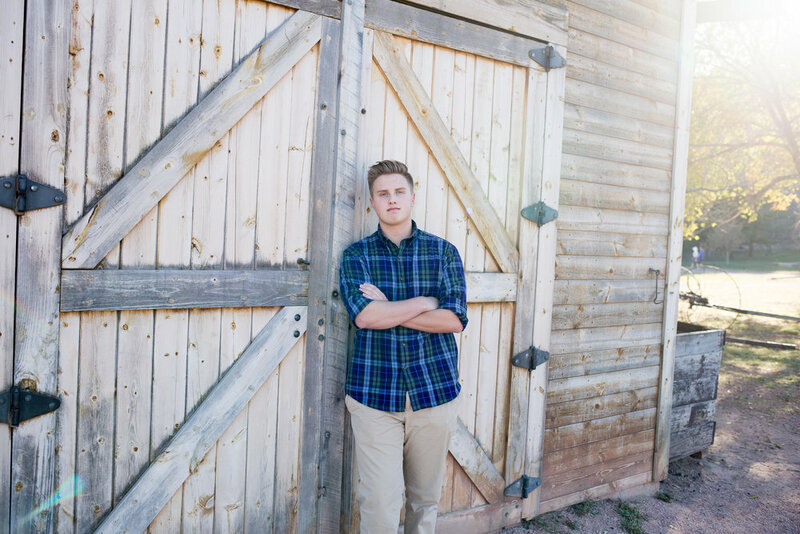 I love taking senior photos at the ranch, as there is such a variety of backdrops. I usually like to ask my seniors if they have a favorite place or if they have a particular mood of feel that they are going for with their photos; this helps us plan for a location. Whenever a student says they would like something natural, Rock Ledge Ranch is always a suggestion because of its views of Garden of the Gods, the barns and buildings are unique, and there is nature all around. In the middle of fall, we were lucky to be able to get some beautiful colors in the leaves for the backdrop of Michael's senior session. Wishing him the best in all of his future endeavors!